Vienna’s worldwide reputation as a city of music has been primarily shaped by the musical genius of some renown composers. 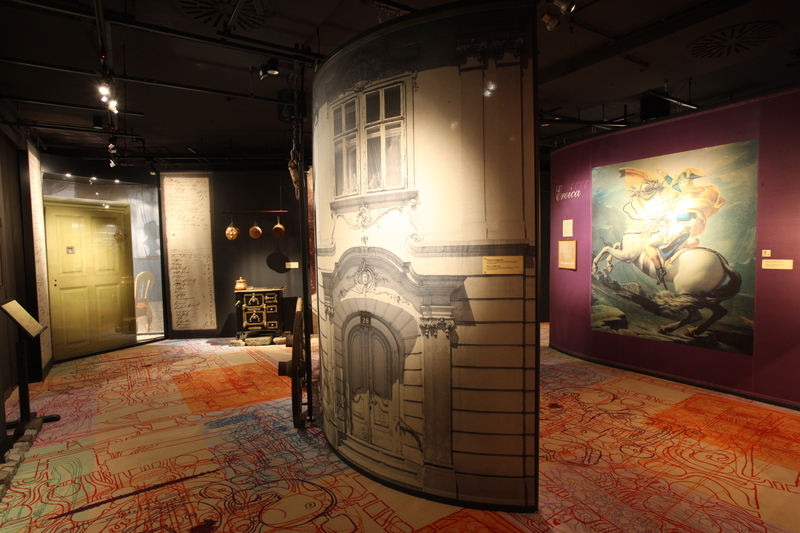 Joseph Haydn, Wolfgang Amadeus Mozart, Ludwig van Beethoven, Franz Schubert, Johann Strauss, Gustav Mahler, the Second Viennese School of Arnold Schönberg, Alban Berg and Anton Webern – all of them are introduced in their contemporary environment through historic documents, models, modern installations and presonal items. Films and databases provide the focus of the setting and intensify the edutainment experience. "NAMADEUS," the interactive computer programme based on Mozart's musical game KV 516f ofers visitors the opportunity to playfully turn their names into original Mozart interpretations. Have a go at conducting the Vienna Philharmonic! Each visitor has a chance to do this with the Virtual Conductor. The musicians obey the visitor, follow the tempo and rhythm of the baton. They are happy to reward him / her with applause. However, the orchestra’s patience is not without its limits. The EXODUS, an artistic installation, remembers musicians that were forced into exile or murdered during the Second World War.